Canadian singer, rapper and songwriter Drake believes it is important to try to come up with songs with a lyrical message and melody that will still mean something special to listeners in years to come. If you can write a song that becomes someone’s ‘special song’ because it always reminds them of a particular day (such as their wedding day) or a special moment in their lives (such as the return of a loved one after a long absence), then it is indeed a great achievement. 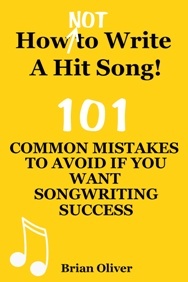 And there are solid scientific findings to support this ‘long-tail’ approach to songwriting. In 2008, researchers at the University of Leeds found that music has a powerful influence on the storage and retrieval of long-term memories in particular. A piece of music can become so closely associated with an event from a person’s life that hearing the music again evokes powerful memories of the original experience. Grammy Award-winning Drake and his producer Noah “40” Shebib are hoping that Drake’s song ‘Hold On, We’re Going Home’ will become a “timeless” wedding song that will help to bring back those ‘special day’ feelings and still be played at nuptials in years to come. How do you think Drake’s new single ‘Hold On, We’re Going Home’ (featuring Majid Jordan) compares with other great wedding songs? Read a FREE sample of the book HERE (USA), HERE (UK), HERE (Australia) and HERE (Canada)..